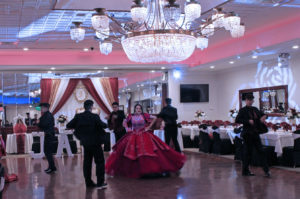 Princess Manor had the pleasure of hosting a very beautiful and elegant Sweet 15 party. The choreography, design and style of the evening created memories for all! Color theme: burgundy, white and gold. PreviousPrevious post:The Dessert Table of your DREAMSNextNext post:Calling All Brides!